2009 has been a great year but also a very trying one. Our mortgage industry continues to go through growing pains as we try to distance ourselves from the meltdown of 2 years ago. We are trying to put policies in place that will help prevent another meltdown from happening in the future, while hopefully spurring the industry to continue growing. 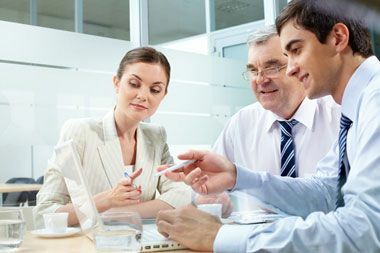 For us mortgage professionals, there are a whole slew of new disclosures, policies and procedures that will be taking place in 2010. Our wonderful bureaucrats dance with our powerful lobbies to create puddles of muddy disclosures designed to improve transparency and consumer protection. However, in truth these new rules and disclosures just make it more difficult for consumers to obtain loans and at the same time do nothing but create work for those who need it the least. I agree with the notion that customers obtaining mortgage loans need a clear picture in the fees, costs and types of mortgage loans they are receiving. The fact of the matter is that disclosure #87 does nothing to clarify disclosures 1 through 86. Creating rules to explain rules only muddies the water. In addition, there is some continued tightening of guidelines that will further prevent consumers from obtaining mortgages. Most importantly, Fannie Mae is instituting tighter guidelines on debt to income ratios putting a firm cap in place of 45%. There will be some wiggle to higher ratios but it seems for the time now, 45% will be the rule. You may think this sound s like a good idea to further verify some-one’s ability to repay debt, however when you deal with this firsthand and are unable to get a mortgage because your underwriter won’t let you qualify overtime income, you may think twice about the firm and fast rules. There is nothing I despise more than rules and guidelines designed to profit some in the name of protecting all. Artisan Mortgage offers home loan trend up-dates every single day that really help your increase your knowledge whether you are re-financing your home loan or evaluating home loan rates.